Are you grabbing a box? Want to see it reviewed? YES!! Please review this box! Cosmoprof is an exclusive store for Licensed Stylists & Nail Technicians ONLY! This stuff is usually reserved/limited-edition & sold in salons & spas only. I received my box today and it’s great there were many skincare products in this box and the eye serum and stem cell mask and shampoo make it well worth the price. I ordered mine!! Can’t wait!! I’ve always received gotten excellent people in customer service they’ve replaced products & made sure things was ordered. I’ve actually cancelled other boxes and always kept this one and ordered any of the limited editions with no problems!! Love New Beauty!! 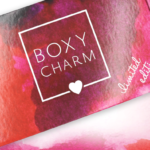 There is a chance to win this box on new beauty test tubes’ website today. There is something new every day on there to enter for a chance to win. I’m not gonna order this one though. may I ask why? cuz i’m tempted. After the DISASTER that was the Awards box, I would never buy anything from them again. They strung us along, gave us false information, and it took them almost a month to tell some of us our orders had been cancelled, and then, only when we kept calling and e-mailing them with inquiries. Their customer service is abysmal. I wouldn’t tryst them with my credit card info again. I was annoyed with the way the awards box was handled, too. I also feel hesitant to trust this company, but I have to admit, I loved the items in that awards box and use many of them daily. It’s too bad their marketing was shady, because in the end (for me personally) it was a well curated box. Hopefully they learned from their questionable actions. I have been doing the daily entry for over a year already and have never won. I even share on facebook, twitter and pintrest everyday, in hopes to raise my chance of winning. I’m ready to give up…lol. There must be a LOT of people that enter everyday.. so the chance to win is low and now that your advertising it, it will be even lower..lol. Just kidding.. Same here and no win for me either! The hair mask is 6 oz in full size, this definitely looks like just a sample , as compared to the VenEffect lip treatment sample..